Manufacturer of a wide range of products which include uc300, uc500 and ippbx. 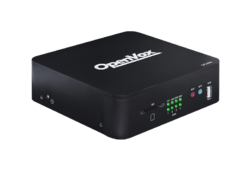 Whether you're an SMB looking for a cost-effective, scalable phone system or a SOHO requiring an advanced unified communications system, OpenVox UC300 Series will be your first choice.With two distinct offerings, UC300-A11EM1/UC300-A20EM1 and UC300-A14EM1, OpenVox offers a complete set of products designed to meet your communication demand. 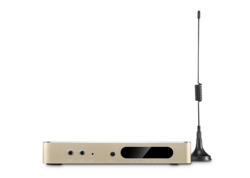 UC300 Series support analog FXO/FXS ports with up to 300 simultaneous calls in one single device. They are developed with a wide selection of codecs and signaling protocols, including G711 (alaw/ulaw), G722, OPUS, AMR-NB/WB, SILK, G723.1 G726, G729, GSM, ADPCM, iLBC, H263, H263P, H264, VP8. Taking full advantages of open source platform, the UC300 Series support industry standard SIP trunks, IAX2 trunks, analog PSTN trunks, and analog station trunks. 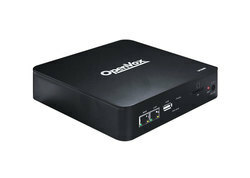 What's more, it is very convenient for users to increase ports to expand the system. Supported codecs ADPCM, G.711(A-Law & u-Law), G.722, G.723.1(pass through), G.726, G.728, G.729, GSM, iLBC(optional) among others.